Question about Amazon Mom? Might be worth your time for the FREE Shipping! I mention Amazon Mom often when I am talking about FREE shipping I received at Amazon.com. Well for those of you who might have questions about the program, here is information straight from the source. According to Amazon, Amazon Mom is a free membership program aimed at helping parents and caregivers, from the prenatal days through the toddler years, use Amazon to find all the products their family needs. To join, simply sign into your Amazon account and tell them whether you are a Mom, Dad, or other caregiver of a child. By providing information about your family, you can help us personalize offers, e-mails, and product recommendations to help you find exactly what you need at just the right time. 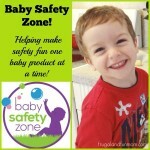 Amazon Mom is open to anyone who is responsible for caring for a baby or young child. Amazon Mom members receive exclusive discounts on a variety of products and categories. Discounts and promotions will be e-mailed to your Amazon.com e-mail account or made available on the Amazon Mom membership page at www.amazon.com/mom. 30% off select diapers and wipes: As an Amazon Mom, you receive an additional 15% discount on top of the standard 15% discount on Subscribe & Save when you sign up for Subscribe & Save delivery. Subscribe & Save shipping is always free, and you can change your delivery schedule or cancel at any time. No fees, no risks, no obligations. FREE 2-day shipping with Amazon Prime: When you join Amazon Mom, you will receive FREE Two-Day Shipping with Amazon Prime for the first 3 months of your membership. To keep your Amazon Mom account active you must spend $25 within a single order in the Baby Store, they’ll grant you an additional month of Amazon Prime shipping benefits. To determine whether your purchase qualifies, they will total the prices of the items in your order as displayed in your Shopping Cart (i.e. not including any sales tax, shipping or gift wrapping charges and prior to the application of any promotional discounts on the detail page, such as coupons and the Subscribe & Save discount). Plus, you will see a yellow stripe on the product detail page that says “Amazon Mom: Purchase this and other Baby items to extend your Amazon Prime FREE Shipping Benefits”. If you would like more information on the program, or would like to signup, CLICK HERE to get started. Hope this answers any questions you might have. 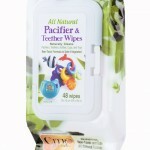 Nuby All Natural Pacifier and Teether Wipes with Citroganix Review! 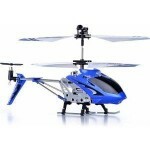 Syma S107/S107G R/C Helicopter – Blue 85% off! Was 129.99 Now $19.87!